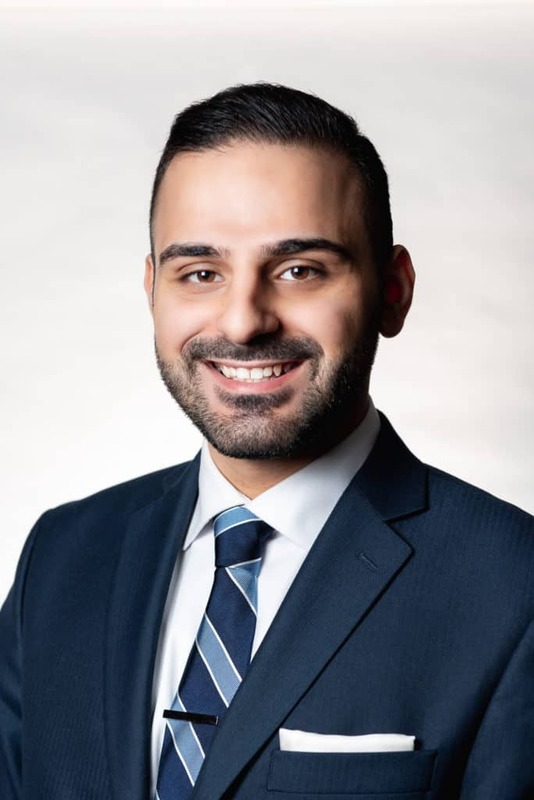 To those who are reading this, allow me to introduce myself: my name is Moses El-Sayed (Moussa for the Arabic speakers), and I am George P. Mann’s newest immigration attorney. My ethnic background is Lebanese, but I was born and raised in the city of Dearborn, Michigan. If you are unfamiliar with Dearborn, it is home to the highest concentration of Arab people outside the Middle East; a small town where everybody knows everybody, and everyone is just like you. That is, all of my peers were first-generation Americans as well, and most of our parents had the same immigrant story. Our parents all fled the Middle East due to some political/religious conflict and came to Michigan to work in the thriving automobile industry. My parents in particular immigrated to the United States when they were very young. My dad was seventeen and my mom was nine when they left Lebanon in the early 1980s to flee the ongoing Lebanese civil war, a conflict that spanned fifteen years and claimed the lives of 150,000 people. In Dearborn, there are only four career paths in the eyes of our immigrant parents: Doctor, Lawyer, Engineer or Failure (I’m only partly joking). My strong personality and constant disagreements with my parents about the outdated nature of the old country’s traditions made my decision simple: I was going to be a lawyer. In 2014, I left Dearborn for the first time in my life and moved to East Lansing in order to attend Michigan State University College of Law. For the next three years, I was surrounded by people who weren’t anything like me. I met people from all walks of life and listened to their stories, learned of their struggles, their achievements, their goals, and everything in between. It was at MSU that I finally began to appreciate my immigrant background. In Dearborn, I didn’t have a story to tell like I did at MSU. After all, everybody in Dearborn knew my story before I even introduced myself. At MSU, that wasn’t the case and suddenly, I began to see things from a new perspective. In my second year of law school, I decided to take part in MSU’s free legal aid clinic, where I represented vulnerable immigrant populations, including persons fleeing persecution, before the Detroit Immigration Court (under the supervision of licensed attorneys, of course). I’ll never forget the feeling I had when my sixteen-year-old client from Somalia had his removal proceedings terminated after I plead his case to the judge. It was unlike anything I had ever felt before. By my final year of law school, I became Vice-President of the Middle Eastern Law Student Association, where I helped coordinate various events on campus with the goal of dispelling negative views of Arab people (I mostly just fed people shawarma, which is a guaranteed way to a person’s heart). By the time I graduated, I knew one thing was for certain: when I passed the Bar Exam, I was going to practice immigration law exclusively. Before joining the firm, I spent some time in general practice, honing my skills as an attorney before committing to immigration law fully. Now, I am lucky enough to be living out my dream at George P. Mann & Associates. My work at the firm has a clear purpose: defend the underrepresented. I attend court at least twice a week and represent people from all walks of life who are facing deportation. These are good, honest people who just want to be able to work and provide for their families; they are not the monsters that our current administration makes them out to be. Looking to the future, I remain hopeful that society will realize what an asset immigrants are to this country. The right to immigrate here is what truly makes America great, and I look forward to a lengthy and rewarding career in service of those who have been told they aren’t good enough to reside here. Had the same been said to my parents all those years ago, I probably wouldn’t be here today. I happened to click on the link that your father shared on Facebook and I found myself reading through your resume. Even though we have never met, I have nevertheless felt proud of your accomplishments. So I just wanted to take this opportunity to congratulate you on your new position and wish you a journey filled with happiness and success.